SlugFest Games - The Red Dragon Inn a Euro Game? The Red Dragon Inn a Euro Game? 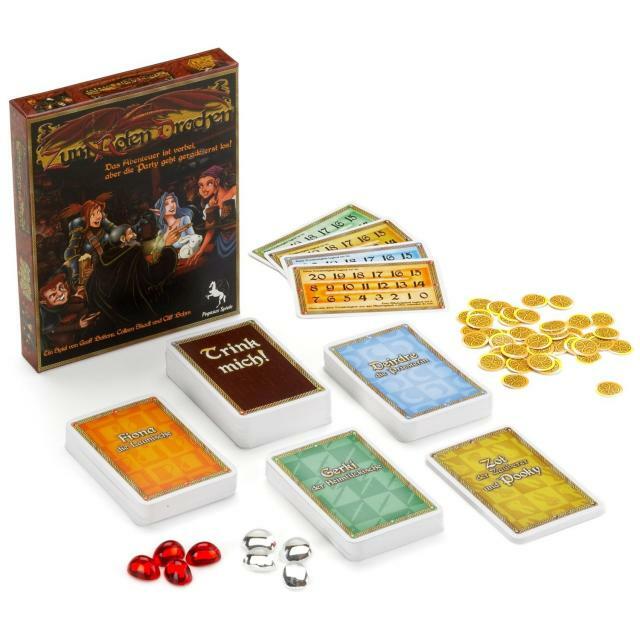 Spieletest, an Austrian board game review site, has just posted a review of the German Edition of The Red Dragon Inn. You can check the review out on their site here. Some of our readers may be scratching their heads over the above bits pic. Back in 2008 SlugFest Games partnered with a Pegasus Spiele to produce and distribute a German translation of The Red Dragon Inn. The components where reduced, as well as the box-size for this edition, and you can see how things where modified above. Over all, Zum Roten Drachen (Red Dragon Inn 1) did so well that Pegasus Spiele released Zum Blauen Drachen (Red Dragon Inn 2) last year!